The Panasonic DMP-BDT170EB SMART 3D Full HD Blu-ray Player with 4K Upscaling is perfect for 3D, full HD movies and internet services. Soak up stunning full HD movies and breathe new life into your DVD collection thanks to an upscaling feature that transforms them to near 1080p HD quality via HDMI connectivity. If you have a 4K Ultra High Definition TV or are planning to get one in the future you can enjoy incredible detail and colour that must be seen to be believed. You can also enjoy incredible 3D movies from the comfort of your own sofa (3D TV available separately) to life. 2D-3D conversion also transforms images from DVDs and Blu-ray discs into 3D with natural depth perception. 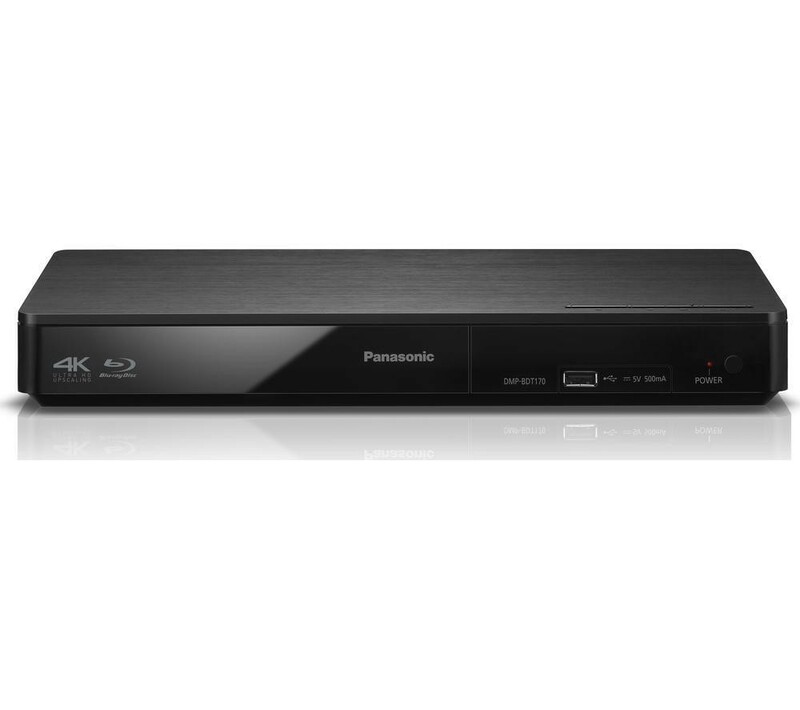 With the Panasonic DMP-BDT170EB SMART 3D Full HD Blu-ray Player with 4K Upscaling, you can access a world of online entertainment via internet apps including YouTube, Facebook, Twitter and Vimeo, as well as Video on Demand services in HD quality. It also supports a wide range of DVD and CD disc formats, and you can also hook up an external HDD via USB.